With the FlowStart you can start working with flow chemistry today! 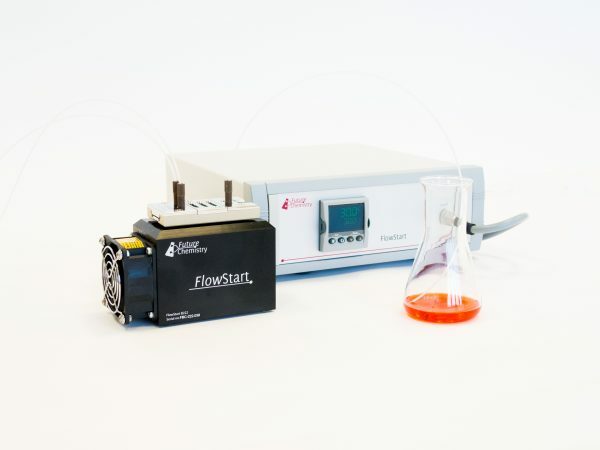 The FlowStart is a reliable, versatile and easy-to-use microreactor platform. It can even be used for flow chemistry education in combination with our flow chemistry course. 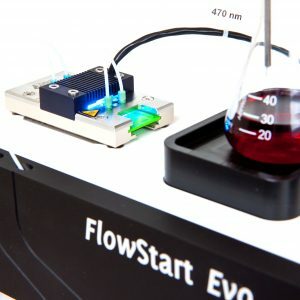 With the FlowStart Evo you can start working with flow chemistry today! The FlowStart Evo is the most reliable, versatile and easy-to-use microreactor platform available. It can even be used for flow chemistry education in combination with our flow chemistry course. With the FlowStart you can start with flow chemistry today! 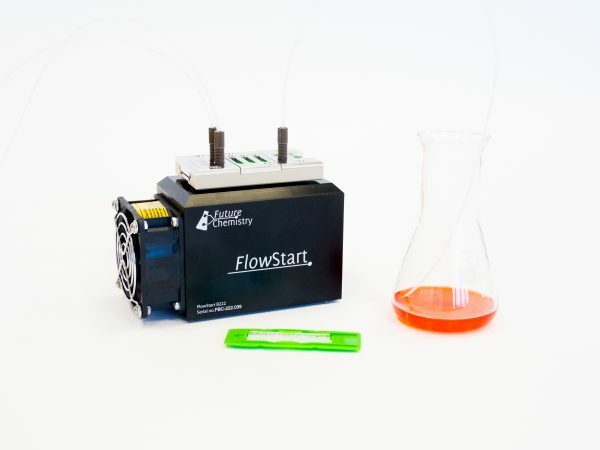 The FlowStart is a complete package for flow chemistry at an affordable price. 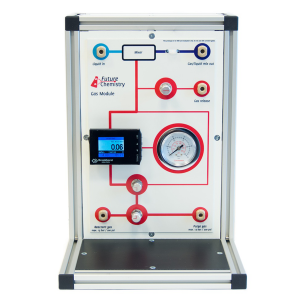 It is easy to install and operate with accurate control over temperature and flow. Pump modules enable easy control over flow rates. By changing flow rates, you can influence the experimental parameters such as reaction time, mixing ratio and droplet size. The temperature controller heats or cools your microreactor to the desired temperature in a fast, easy and accurate way. The plug-and-play controller is equipped with an intuitive and straightforward interface. 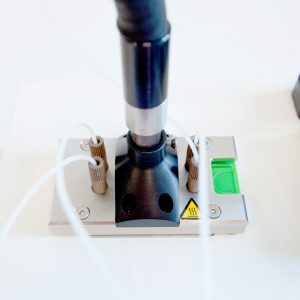 The FlowStart is compatible with a wide range of microreactors and add-on’s supplied by FutureChemistry. You can find more information in the microreactor and add-on section. Complete package for flow chemistry. Accurate control over temperature and flow. Also possible to purchase without pumps if you already have pumps.